Curb Cut! The end of our ramp in Fred Hamilton Park has been fixed. This will make it easier for wheelchairs, strollers, and bikes. 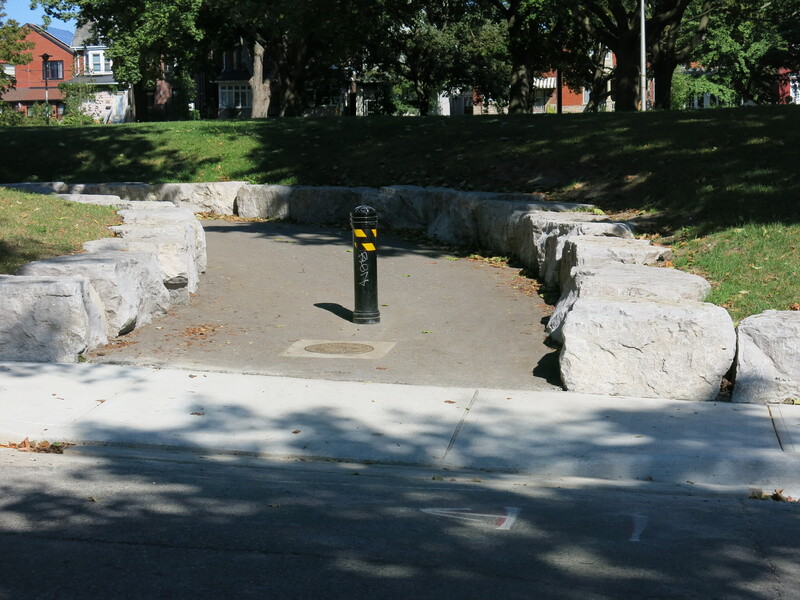 Thanks to the City for making our Park a little more accessible. The ramp into the playground is still in need of a cut. The drones have come to Fred Hamilton Park. David Lengyel uploaded a video of the park from the drones perspective earlier in the summer. Follow the link to see the park from a very different view of the park. 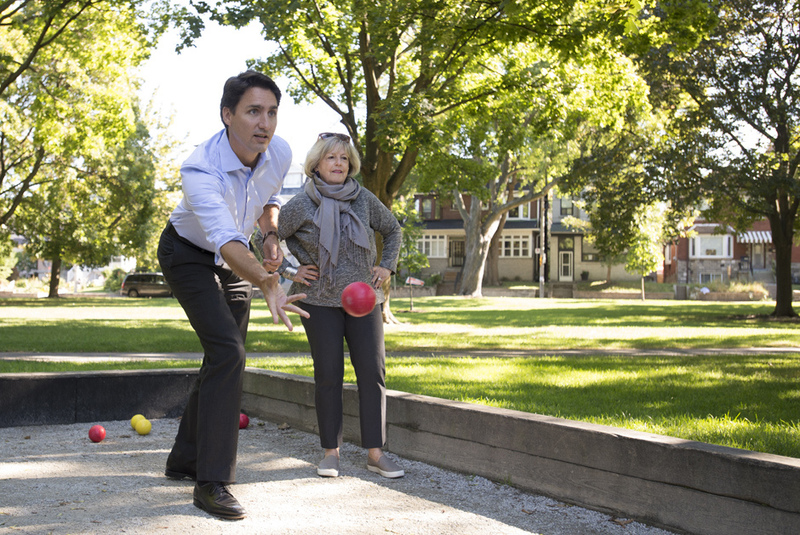 Justin Trudeau was in Fred Hamilton Park on September 14th to play a little bocce, practice juggling, and say hello to some neighbours. The David Suzuki Park Crawl is on Sunday September 27th. 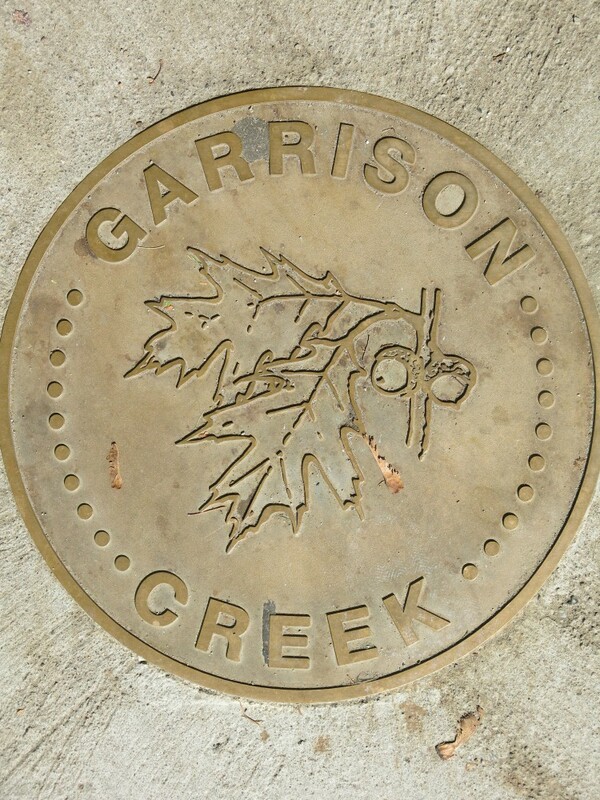 We expect large group of people to be tracing the path of the old Garrison Creek. They will be coming through Fred Hamilton Park between 2:15pm and 2:45pm. There will be dancing, and freezies in the park.